25 Nov 2005 - The Provincia di Avellino's EUTOU project at WORLD TOURISM ORGANIZATION 16TH GENERAL ASSEMBLY Provincia di Avellino's EUTOU panel exposition will be show in 16TH WTO GENERAL ASSEMBLY which will take place in DAKAR (SENEGAL) from 25 NOV to 02 DEC 2005. Provincia considered this event as one of best place to showed the aims and running results of Eutou project due to the worldwide istututional delegation precences and the coherence of conference themes with EUTOU one. 24 Nov 2005 - Hainain Province's EUTOU exposition at China International Travel Mart 2005 Hainain Province's EUTOU exposition will be present in Kunming International Convention & Exhibition Centre (China) from 24 to 27 november 2005. Eutou panels and brouscure will be hosted in Hainain Province stand located into pad 6 stand 6D02ne. 25 May 2005 - Carry out local dissemination in Provincia di Avellino According with the project scheduled activities, it has been scheduled local consultation and dissemination actions on May, 26th and 27th in Avellino municipality and Atripalda city to show how the EUTOU experience and research into best practices can contribute to the upgrading of the waterfront and local development. On 26th will be held a public meeting focused on decentralized cooperation. Speakers will be consultant of Italian Ministry of Foreign Affairs, the director of Regional Agency for the internationalization of companies, as well as representatives from University, Italian local partner. On 27th May, will be held a technical meeting on sustainable use of environmental resources and tourism development, focusing on the planning for the waterfront upgrading. Will attend the event Provincia di Avellino Councillor for Environment and territory planning, architect and tourism planner researcher from University of Naples. and General Secretary of National Authority for river management The event ties to the celebration of 30th Anniversary of EU-China diplomatic relations and it will offer the opportunity to promote the visibility of the all EU Programmes and Projects. 9 Jan, 2005 - Consultation Event In next January, in Hainan Island, it is scheduled an important week of work for all the EUTOU partners: seminars, presentations, drafts, meetings. Technical seminars will be held in Wuzhishan City to consult with local actors and project beneficiaries and a more general presentation of the reccomendations will be made at interim consultation event involving the local community. This event will be supported by specialists form European partners who will contribute with the presentations on key reccomendations for waterfront regeneration and cultural tourism planning. Representatives from the European Commission will also awaited to attend. Besides, the 3rd International Steering Committee Meeting and 3 Working Group Meetings will be held at the end of the visit to discuss the conclusions and organisation of future work in the next stage. 26 July, 2004 - Visit of European Partners to Hainan Island in February 2004 EUTOU project started on 1st January 2004, in the next days (16-23 february) has been scheduled a visit from Europe of Project Co-ordinator, Technical adviser and expertise from Provincia di Avellino and Cheshire County to Hainan Island in order to confirm the understanding of objectives and work methods by all partners and associate partners at the start of the project. It will be the occasion to visit appointed sites for works in Wuzhishan City (both the waterfront and other cultural attractions in the town) as well as to go and see the surrounding countryside, particularly the area around Wuzhi Mountain. This will allow the project international team to clearly appraise the potential of the area and the key tourism products in Wuzhishan City. In that occasion will be held the 1st International Steering Committee Meeting in Haikou , which will confirm the objectives, work programme and responsibilities of each partner, and three International Working Group meetings, namely on Urban/Waterfront Planning (WG A), Cultural Tourism Planning (WG B) and Consultation and Implementation Mechanisms (WG C). A partnership agreement defining the technical and financial rights and obligations of each member of the partnership is also envisaged to be discusse. 26 July, 2004 - European Study Tour of Best Practice 5-16 July 2004 Among the planned initiatives of EUTOU project, in the first two weeks of July (5-16) took place a Study Tour of best practice in Europe of institutional representatives and technical experts from Hainan Provincial Tourism Administration, Hainan Tourism Planning Academy and Wuzhishan Municiple Tourism Development Committee The tour commenced with visits to Cheshire where the 2nd International Steering Committee Meeting was held. This reviewed the work carried out by partners in the first stage of project. Visits to towns with waterfront regeneration within North West England have been made. 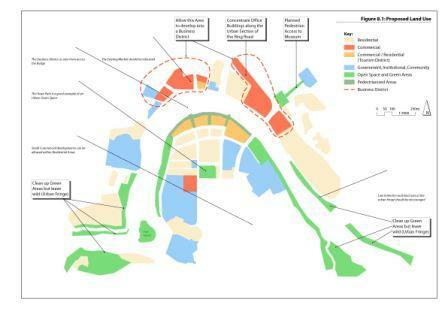 Meetings have been organised with the key planning authorities responsible for such regeneration To complement the site visits a workshop on urban/waterfront planning, organized by Cheshire County Council, took place. to review relevant planning data collected in Wuzhishan City, to discusse the case studies compiled during Stage 2 During the second week (10-16 july) a visit to the Provincia di Avellino was made, focussing on the promotion of cultural tourism vis a vis waterfront regeneration. Visits to Atripalda in the Campania Region, as well as to other towns: Naples, Amalfi, Ravello, Calitri, in where successful examples of cultural tourism in cities can be observed and methods disseminated through meetings with relevant tourism planning authorities and various actors in cultural tourism. The Working Group meetings on Cultural Tourism Planning and Consultation and Implementation has assessed data collected during first stage of project, discussed conclusions from site visits, and determined best practice for Wuzhishan City. 21 October, 2004 - Technical visit of Italian experts to Wuzhishan in November to draw up conceptual proposal for wat Technical visit of Italian experts to Wuzhishan in November to draw up conceptual proposal for waterfront upgrading, cultural tourism planning and implementation procedures. It is foreseen a technical visit and a short term stay of urban and tourism experts from the Provincia di Avellino at Wuzhishan on the next month in order to synergise the baseline data related to the three core activities and the examples and conclusions of best practice. The Italian experts and the Chinese colleagues will work together to draw up a series of plans on environmental, land use and tourism planning proposal including maps, finally an urban design scheme for the Nanshan river waterfront will be devised. 27 December, 2004 - Two new local partners join the Eutou project! Naples University \"Federico II\" - Polo delle Scienze e delle Tecnologie, Dipartimento di Configurazione e Attuazione dell\'Architettura, Napoli ITALY and Autorit� di Bacino dei Fiumi Liri - Garigliano e Volturno, ITALY The first local partner is Naples University, Department of architecture shaping and building technology.It has being cooperating with Provincia di Avellino since three years in the drawing up of Urban Plan for the Provincial coordination, providing surveys and studies on town planning for the valorization of the cultural and tourist resources. Role in the project: tourism planning activity, providing the technical and scientific know-how, and contributing to the analysis and data processing for the assessment of urban and waterfront features The second local partner: The River management National Authority has strong experience and expertise in technical works and interventions on river management and increasing in value of concerned areas. In particular it has realised environmental redevelopment works in Atripalda, a town crossed by a river in Avellino countryside, with physical features similar to those of Wuzhishan. Role in the project: the River Authority will provide its experience and expertice in waterfront regenaration and enhancement of depressed areas using tourism as means of development. 27 December, 2004 - Agenda for EUTOU Consultation Events in Hainan, January 9th to 15th 2005 Sunday 9th: a.m. Travel to Haikou p.m Evening reception dinner hosted by HPTA for EUTOU team. Monday 10th : a.m. 3rd International Steering Group Meeting of EUTOU partners p.m Travel to Wuzhishan City. Tuesday 11th: a.m.: Site Visit to Wuzhishan waterfront (part of Waterfront Regeneration Planning Seminar p.m.: Meeting with administrative departments of Provincial and Wuzhishan Municipal Government. Wednesday 12th : a.m.: Opening Ceremony and Introduction (including address by EC) p.m.: Tourism Planning Seminar with university professors and experts in tourism from institutions of higher learning and academic institutions. Travel to Shuiman Village (tourist attraction in Wuzhishan environs). Stay overnight in Shuiman village. Thursday 13th: a.m.: Visit to Wuzhishan City surroundings and travel back to Wuzhishan City. p.m.: Implementation and Consultation Seminar attended by representatives from the related tourism enterprises and ethnic minorities of Wuzhishan Municipality. Friday 14th : a.m.: Main Consultation Event with local community including address by EC as part of introduction speeches. p.m.: Main Consultation continued followed by formal closing dinner. Saturday 15th a.m.: Travel to Haikou p.m.: Possible meeting and dinner with Hainan Provincial Government in evening. Sunday 16th Travel back from Hainan.